For many people living in the USA the most memorable event of the coming year will not be the inauguration of the new president but the total solar eclipse, which I’ll talk about briefly at the end of this post. 2017 also marks the anniversaries of a number of major advancements in the fields of astronomy and space science. 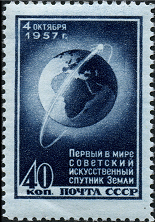 On 4 October it will be 60 years since an event which marked the beginning of the space age – the launch in 1957 of Sputnik 1, the first ever artificial satellite, into orbit around the Earth by the Soviet Union. As I’m sure you will know, this was the time of the Cold War between the Soviet Union and the West, and Sputnik’s success caught the US by surprise – most commentators expected the Americans to be first to do this. Not only did the Soviets beat them to it, but shortly afterwards, in December 1957, the first attempt by the Americans to put a satellite in orbit failed when the launcher exploded just after take off. Many in the West were fearful that Soviet technology was more advanced than they had realised. 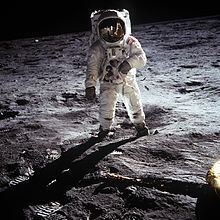 In the years following Sputnik there was a space race between the US and the Soviet Union, which the Americans won when they put the first man on the Moon in 1969. 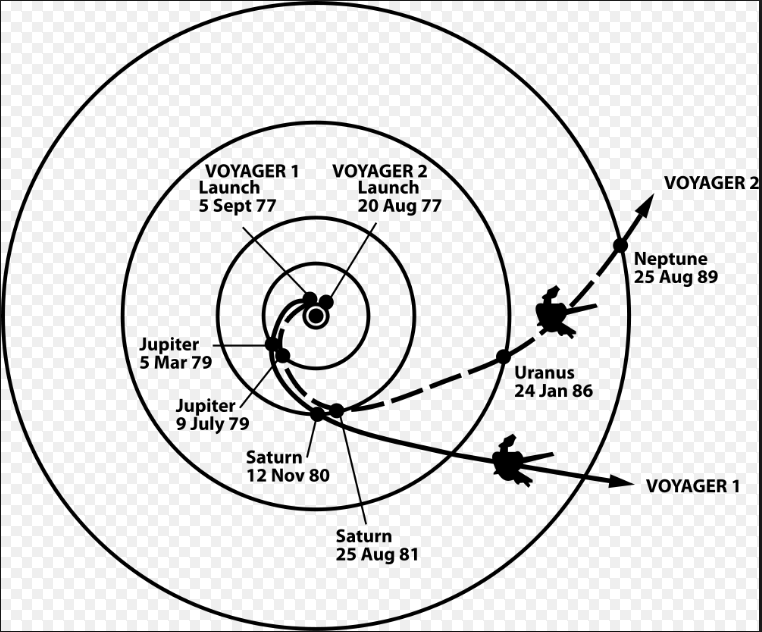 On 20 August it will be the fortieth anniversary of the launch of Voyager 2, the first of the two Voyager spacecraft (Voyager 1 was actually launched two weeks later on September 5). It conducted a grand tour of the Solar System, visiting all four of the outer planets: Jupiter, Saturn, Uranus and Neptune. The Voyager spacecraft made many exciting discoveries. Indeed most of what we know about the two outermost planets, Uranus and Neptune, was uncovered by Voyager 2. 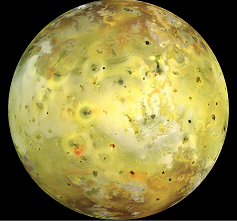 One of their most interesting findings was that Jupiter’s moon Io (shown below) had active volcanoes. 28 November 2017 marks the fiftieth anniversary of the discovery of the first pulsar by radio astronomers based at Cambridge University in England. Pulsars are objects which emit regular pulses of radiation a fixed period of time apart. The time interval between each pulse is very small, typically around one second. When the signals were first observed the small interval between the pulses led the team to consider briefly that they were beacons left by an extraterrestrial civilisation. In fact, the team in Cambridge code-named their mysterious signal LGM-1, an abbreviation for Little Green Men 1. However, pulsars turned out to be rapidly rotating small objects called neutron stars. A neutron star is an object where a mass similar to that of the Sun is compressed into a sphere about 10 km in diameter. Neutron stars are so dense that a cubic centimetre of neutron star material would have a mass of around 500 million tonnes. 2017 is also the seventieth anniversary of the transistor which was invented in 1947 in the Bell laboratories, New Jersey. 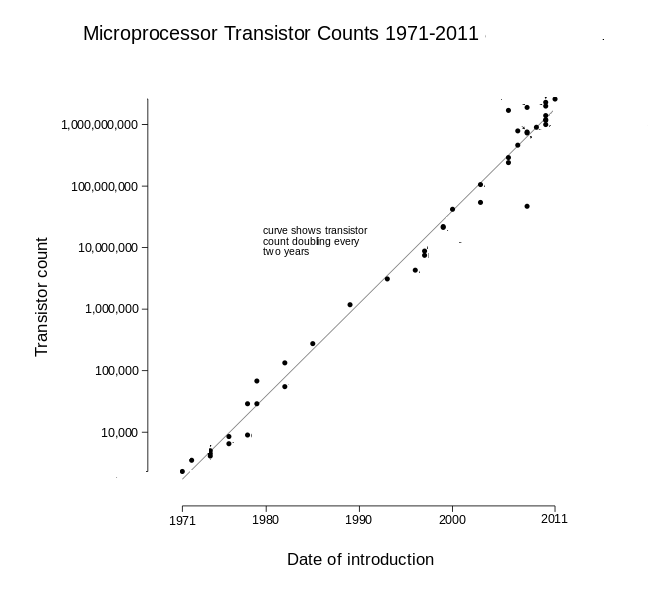 The transistor forms the basis of all modern electronic devices. Initially the first transistors were quite large. However over the decades transistors have got smaller and smaller and integrated circuits have been developed containing more and more transistors. In the early 1970s simple integrated circuits used in computers contained a few thousand transistors. Today’s modern electronic devices,such as the laptop I am writing this post on, have integrated circuits containing billions of transistors. The invention of the transistor and the ability to make circuits containing a vast number of transistors, which in turn led to advances in computing, ranks as one of the greatest scientific advances of the last 70 years. 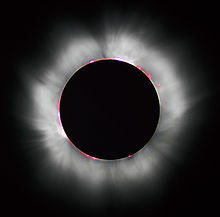 As I mentioned at the start of this post, the most significant astronomical event of the year for many of my readers in the US will be the total solar eclipse on 21 August. On that note I’ll sign off for now and I hope that, wherever you live, 2017 will be a great year for you. Previous Post Christmas Day – December 25th or January 7th? I have fond memories of many of those events. I am within a day drive of much of the eclipse path. Going to go wherever necessary to witness it firsthand. I really hope that you get to see the eclipse in August. 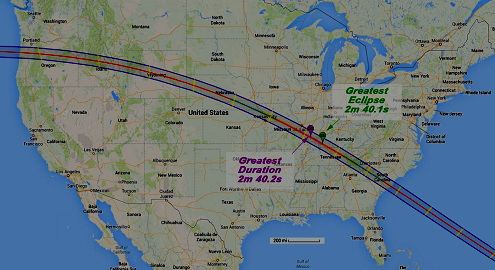 Total eclipses are rare enough that it is worth going the extra mile to see one. Thank you for sharing!! Also, don’t forget that the EM Drive passed peer review as a theory which is exciting as well!!! Sharing this post as an awesome reminder of how space exploration adds to our awareness of our place in the universe. Geeky but Great! Nice job. I will be in KC for the eclipse coming up. I hope you have a great view of the eclipse I really hope that you get to see the eclipse in August.